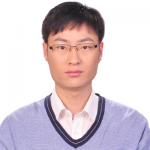 Guangzhi Zhang is currently a PhD student in Beijing Normal University, where he is making efforts to obtain a Ph.D. degree. He devotes himself to the research of big data and the internet of things. Hongli Yan is currently a Student at the College of Economics and Business administration of the Beijing Normal University. He will study for a degree in Data Mining at College of Information Science and Technology in Beijing Normal University. His current research interests include Internet of Things, database application and data mining, computational intelligence, software reliability engineering. 2008~2012 Bachelor`s degree in Electronic Commerce from Beijing Normal University，China. database application and data mining, computational intelligence, software reliability engineering. Xiaobo Xie is currently a senior student at the College of Information Science and Technology of Beijing Normal University. He majored in Computer Science and will received his Bachelor of Science Degree in 2012 from Beijing Normal University. He has been a member of the research team of Internet of things since oct,2011. Now his research interests focus on the Nosql database and its application on the Internet of Things. Cheng Lu is currently a student at the College of Information Science and Technology of the Beijing Normal University. She received her B.S. degree on June 2012 . So far, she has been getting graduate education at the College of Information Science and Technology from September 2012, and will receive her master degree on June 2015. 2008~2012 B.S.degree in Information Science from Beijing Normal University，China.